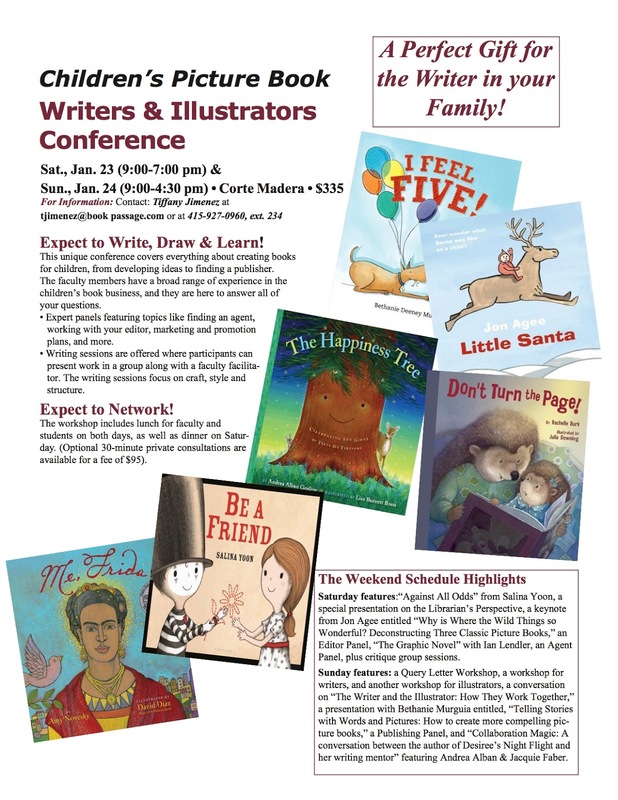 If you have ever thought about writing or illustrating a picture book or you have a manuscript that you are working on, you definitely need to sign up for Book Passage's Children's Picture Book Writers and Illustrators Conference at the end of January. 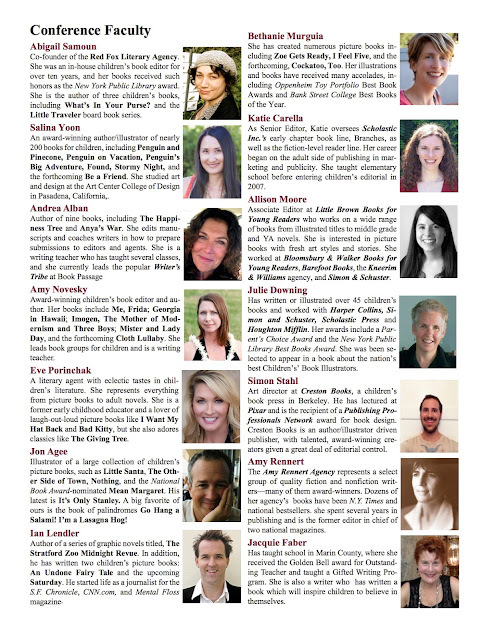 I've been to the Society of Children's Book Writers and Illustrators summer conference in Los Angeles twice and it was an experience I'll never forget - and I am nether a children's book writer nor illustrator. As you might imagine, the community of people who create, publish and agent children's books is a wonderful one and the opportunity to be in this creative environment is stimulating and enriching, whatever your level of interest and activity. The conference, hosted by the fantastic independent bookstore Book Passage, is in Corte Madera in Marin County - just across the bay from San Francisco and next to Northern California's Wine Country. Definitely a win-win!